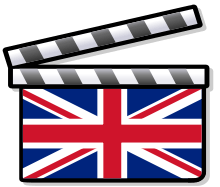 Hemdale Film Corporation, known as Hemdale Communications after 1993, was an independent British-American film production company and distributor founded in London in 1967 as the Hemdale Company by actor David Hemmings and his manager, John Daly. Hemmings left the company in 1971, and Daly purchased his stock. They were known for having produced numerous acclaimed and well-known genre films, often in conjunction with companies such as TriStar and Orion Pictures. Hemdale began as an investment company to cut the high personal taxes on British actors. Eventually, the company went public as Hemdale Ltd. and began diversifying. Hemdale launched a talent agency that helped launch the careers of such bands as Black Sabbath and Yes, invested in feature films, financed stage productions such as Grease, and became involved in boxing promotions such as The Rumble in the Jungle match between George Foreman and Muhammed Ali. Hemdale also distributed cable TV to hotels, which, in 1974, was its major source of revenue. After producing and distributing British films throughout the 1970s, Hemdale relocated to Hollywood in 1980 and focused extensively on movie-making. In 1981 Derek Gibson joined the company. Among its best known films are The Terminator, The Return of the Living Dead, Hoosiers, Salvador, River's Edge, Platoon, and The Last Emperor; the latter two were back-to-back recipients of the Academy Award for Best Picture. Hemdale produced and or financed over 80 films during this period. The company suffered a credit line withdrawal from its French bank Credit Lyonnais due to a number of Government bank inquiries. The bank difficulties forced it to withdraw the companies line of credit forcing it to file for bankruptcy protection. In 1991, Eric Parkinson joined Hemdale as president of Hemdale Home Video and Hemdale Communications. That same year, Hemdale created a collection of many video cassette titles released by Hemdale Home Video around the United States of America. Its first title was the Home Video reissue of the original Terminator in 1991. In 1995, the video rights to some of Hemdale's higher-profile titles were licensed to LIVE Entertainment (now Lionsgate). In 1995, Hemdale shut its doors, shortly after it was announced that Daly and Gibson would leave the company. The library was then incorporated into Consortium de Réalisation, a French holding company set up by Credit Lyonnais to handle the rights to titles acquired by Credit Lyonnais Bank. After the studio closed, the Hemdale library was incorporated into the Orion Pictures output now owned by Metro-Goldwyn-Mayer, after MGM acquired the Consortium de Realisation library from PolyGram (ironically, Orion was the theatrical distributor for a number of Hemdale's films). One significant exception is The Last Emperor, a Hemdale production whose rights are now held by its producer, Jeremy Thomas. Hemdale licensed each of the US media rights to different companies; for example, Columbia Pictures handled US Theatrical only. Most of the foreign productions Hemdale distributed have subsequently returned to their original owners (such as Little Nemo: Adventures in Slumberland, which producer Tokyo Movie Shinsha now controls worldwide). The company's last new credit was for the Virgin Games video game adaptation of The Terminator, which showed up on the game's start up screen as "Hemdale's The Terminator" in text on the scrolling logo, despite all box art calling it "The Terminator". September 28, 1984 Irreconcilable Differences co-production with Warner Bros.
↑ "Release date not set for movie shot in S.C." Associated Press (November 6, 1988). Retrieved on April 1, 2011. 1 2 3 4 5 Lambie, Ryan (7 April 2015). "The Rise and Fall of Hemdale". Den of Geek. ↑ http://movies.yahoo.com/movie/contributor/1800311381/bio John Daly biography - Yahoo Movies Archived February 24, 2007, at the Wayback Machine. ↑ Thomas, Bob. "Independent filmmakers may produce over half of releases." Associated Press (October 23, 1986). Retrieved on April 1, 2011. ↑ http://www.allbusiness.com/company-activities-management/company-structures-ownership/7105716-1.html Hemdale Communications Inc. announces resignation of chairman John Daly and president Derek Gibson; March 6, 1995 Archived January 22, 2010, at the Wayback Machine.